Many Chelsea fans cannot believe what they’re seeing tonight as Willian is named club captain for the PAOK match in the Europa League. 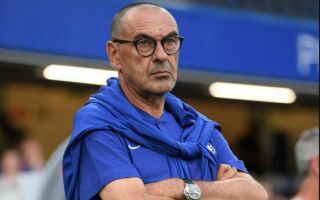 Maurizio Sarri has generally been popular since replacing Antonio Conte as manager at Stamford Bridge, but this decision has not gone down at all well with supporters. Despite Willian’s years of fine service, a number of Blues fans seem to have lost their love for the Brazilian winger somewhat, perhaps partly due to a dip in his high standards of late. On top of that, the 30-year-old seemed to let speculation over his Chelsea future drag on this summer as plenty of rumours circulated that he wanted out of CFC. The Sun were among the sources reporting that Willian wanted to leave, though he was far from the only one mentioned in their piece as Eden Hazard’s future was in doubt, while Thibaut Courtois of course did end up moving on to Real Madrid. OFFICIAL: Willian will be Chelsea's captain this evening for the first time in a competitive game. Absolute pisstake. CHO and Ampadu aren’t even on the bench and Willian is captain…. Lmao. Sarri hardly rotated the team.